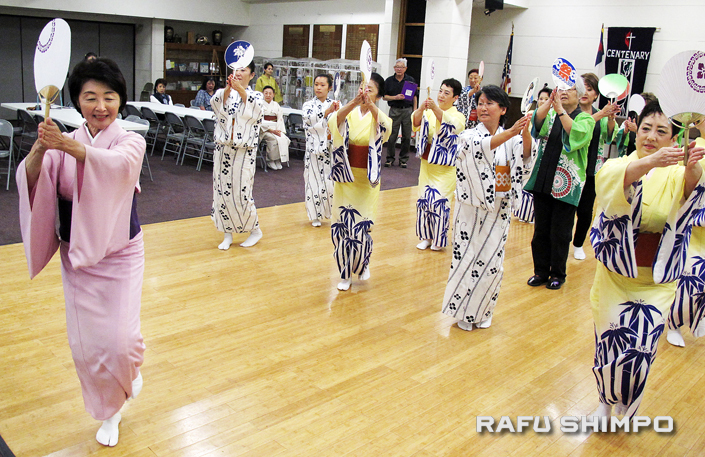 Miyako Tachibana leads a demonstration of “Tokyo Gorin Ondo 2020” during a practice for dance instructors at Centenary United Methodist Church on June 6. The dancers performed under the watchful gaze of Madame Fujima Kansuma (right), who turned 100 years old on May 9, and is once again leading the parade as the official Nisei Week choreographer. 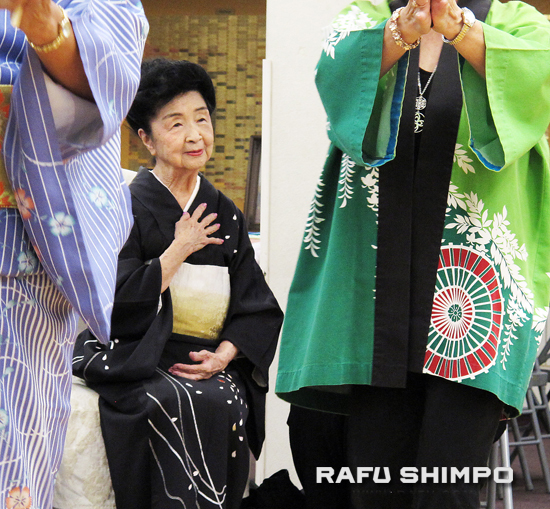 The famed classical Japanese dance instructor has been recognized by the governments of Japan and the United States for her efforts in promoting Japanese dance and culture. Madame Kansuma is honored to showcase her artistry on the familiar streets of Little Tokyo, where she has maintained a dance studio for more than 70 years. Public dance practices will be held at the JACCC Plaza starting on July 19. Nisei Week will take place from Aug. 11-19. For more information, visit www.niseiweek.org.